Green People toothpastes and mouthwashes provide gentle natural oral care for all the family. Flavoured using only essential oils this toothpaste contains ingredients certified by the Soil Association. Green People's certified organic toothpastes are free from sodium lauryl/laureth sulphate and other foaming agents fluoride artificial sweeteners or flavours and all other unnecessary synthetic ingredients. With excellent cleaning properties they contain just chalk Glycerine Gum Stevia and Citrus oils. 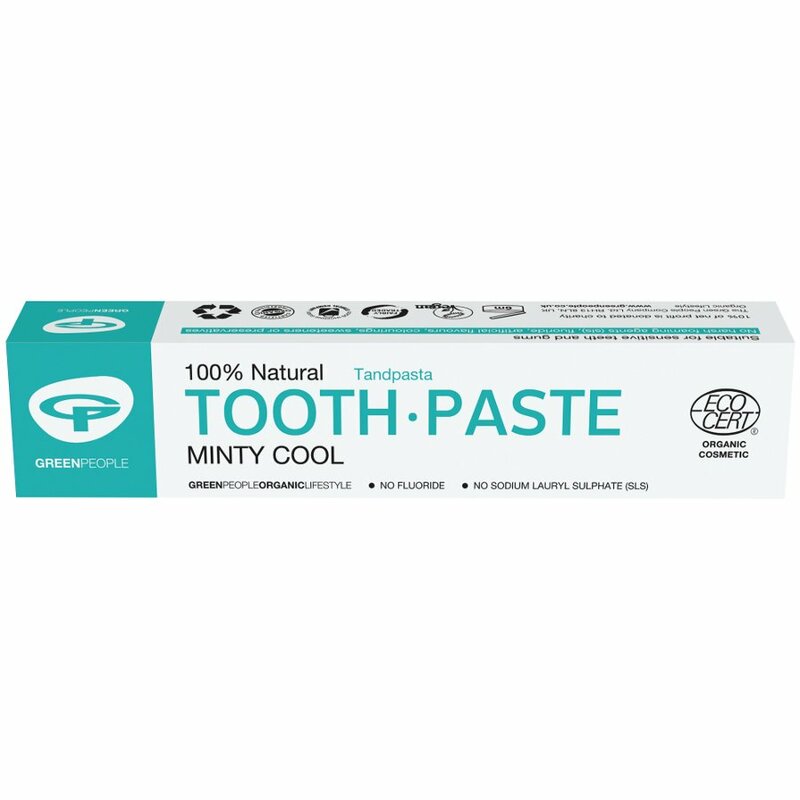 There are currently no questions to display about Green People Minty Cool Toothpaste - 50ml.